The first Marble record begins in mid-April 1855; the business ceased in 1960. This indexing project took ten years to complete. The index is an every name index, not just for those names on the gravestones. The index contains about 55,000 names. Where given, the information includes the name of the deceased, name of cemetery, town where the stones were delivered, and who paid. 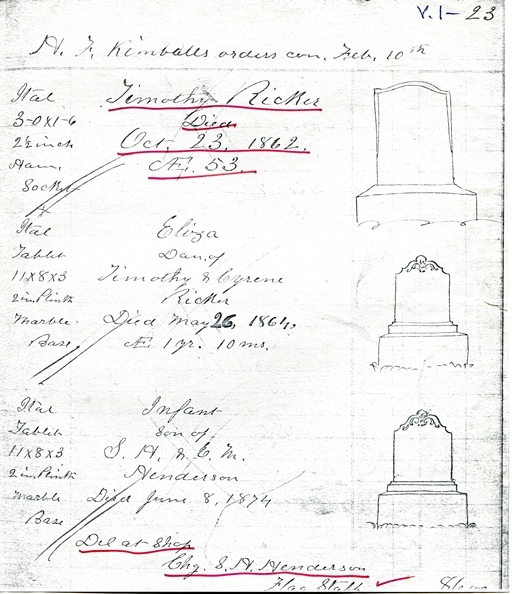 Not in index but very interesting information: how gravestones were paid for. The MOCA Marble Records Index is available on CD for $20 plus $5.00 shipping.